It’s time for another Off-Topic Thursday! With the last two months being swimming and biking, I bet you’re not surprised that this month is running! I bet you can guess what next month will focus on. I’ll have to get creative at some point. I never liked running. In high school, I was a swimmer because it meant you didn’t have to run. Well, it was minimized compared to other sports at least. I felt winded when I ran and it always felt uncomfortable. After I got married and settled into a desk job, I needed something to keep me moving so I started biking and realized that with the swimming I’d done since I was a child, I was 2/3 of the way to a triathlon. The final hurdle was running and I finally had the motivation to do it. My running started small as my triathlon dreams were small (sprint distances end in a 5K). I was running 1-3 miles 3-5 times a week and feeling good about it. Then I fell. It wasn’t a bad fall and I’m not sure it caused my knee pain but it was there when I started running again at longer distances. I went through a round of physical therapy and came out the other side no better. It was time to try something new. I found a virtual triathlon coach. He lives about 15 miles from me but we rarely see each other and he trained me for two years all via text and an app called TrainingPeaks. With this coach, I started doing strength exercises and building up my support muscles. Then I started running. I remember the joy of my first 4-mile run. The first year, I topped out at 7 miles in a run. The second year, he coached me to a half marathon. Husband and I after the Detroit International Half Marathon. My goal for next year is a Half Ironman Triathlon which ends in a half marathon so we’ve signed up for another one later this summer. I like to do a race per month and that’s involved a few 5Ks so far, mostly fun ones with friends but one race where I ran my PR. I’ve got a few 10Ks and a 5-mile race lined up through the rest of the year, too. I’ve learned to really enjoy running and racing. I’ve learned that I don’t have to be super fast to still have fun, though it is great to place in your age group. There will always be people faster than me but there are usually people slower than me, too. I have fun right in the middle. I have a lot of friends in the same boat and we enjoy doing these events together. It’s also a great bonding moment for my husband and I. We run together at least twice a week and he always pushes me. I love and hate that. Survived the snow and both broke an hour! Triple crown winners. I think I’ll scale back to 5Ks and 10Ks once I do my Half Ironman. I love this community and the support I’ve felt from it since I started running. One of my goals is to do an event in every county in Michigan’s lower peninsula. Fun little 5Ks will be a great way to accomplish this. I’ve filled in a few more since then, but I’m tracking on a map in my bedroom. Even if you’re not a runner or have no aspiration to be 5K events are a great way to get out, be active, and enjoy the weather. I sometimes think the people walking with strollers and dogs are having much more fun than me. Even on a rainy day, you can still have a good run. I’m hoping to get out tomorrow for a good one myself. Currently reading: I got a few pages through The Post-Birthday World by Lionel Shriver during my lunch break but not too much. I’m through chapter 1 now and I already had to renew it. This will be a long, slow haul. I’m really enjoying A Walk In the Woods by Bill Bryson and with all the driving I’m doing for school, I’m going through it pretty quickly. I may even finish it in the next two weeks, pretty fast for me! I hadn’t gotten far in Critical Chain so I switched audiobooks when one I’ve been anticipating more became available. I started Dreams of Joy by Lisa See. I enjoyed the first book in the series, Shanghai Girls, and I remember it well enough that I’m picking up right where I left off. I started a new physical book as well. My book club’s next selection is The Feminine Mystique by Betty Friedan. It’s not something I ever would have picked up otherwise and so far, I’m enjoying it. I’m early on but I’m hoping to get through this quickly because I’ve got some other books I want to read. Recently finished: I finished The Sellout by Paul Beatty last week. It was a day after my book club meeting but the ending wasn’t startling enough that anything was ruined for me by listening to the discussion. I liked it well enough, but the satirical tone wasn’t something I got into. I also posted my review for The World’s Strongest Librarian by Josh Hanagarne. I love a good memoir and this book hit the spot for me. It was a great mix of emotional and funny and I recommend it. I gave the book Four out of Five Stars. Reading Next: I forgot about my book club selection so I have a physical book on my bedside table and I’m afraid it will be a while before I get to it. It’s the library copy of Brainiac by Ken Jennings which happens to be large print. It was the only copy the library had so I feel a bit weird about it, but it’s my only option. On the bright side, I’ll get through it much faster than I would another book with the same number of pages. I’m at 501 now, but I wanted to have a post to recognize that I’d hit 500 books read on Goodreads! It feels like a major mark so I’m celebrating. Now, this isn’t that I’ve read 500 books since I started this blog or that I’ve read 500 books total in my life. The number is likely much higher than that. When I got Goodreads, I went back and added some books I’d read long ago to my read shelf and rated them when my memory was sufficient. Other times I didn’t rate them but added them anyway. So this 500 is somewhat of an arbitrary number if you really think about it. But hey, it’s still a landmark! I’ve been using Goodreads for almost six years and in that time I’ve read 334. It will be some time before I hit 500 books read while I’m a Goodreads user but I’ll look forward to that date. For those of us State Side, today is a Federal holiday and there’s no work or school. I’m spending today getting ready for my midterm exam tomorrow and tidying up around the house the things I’ve neglected a bit while I’ve been so busy with school and work. I wish I could say today was set aside for some great reading, but I might be lying to you. I hope you all have a great holiday and get to squeeze in extra reading. I’m jealous. My husband and I did a long weekend trip to Cleveland a few years back and we couldn’t help but notice a bookstore down the street from our hostel. Horizontal Books drew us in immediately with its pricing structure. But 1- 50% Discount. Buy 2- 60% Discount. Buy 3 or more- 70% Discount. Clearly, we needed to buy at least three books. This was one I picked after we’d both selected one and someone had to split the middle. It seemed like stealing at those prices! I guess I was intrigued by the title (granted, the cover I have doesn’t seem to be the final and the subtitle has changed). Mine is subtitled ‘A Book Lover’s Adventures’ but the final subtitle seems to be apter. Josh Hanagarne couldn’t be invisible if he tried. Although he wouldn’t officially be diagnosed with Tourette Syndrome until his freshman year of high school, Josh was six years old and onstage in a school Thanksgiving play when he first began exhibiting symptoms. By the time he was twenty, the young Mormon had reached his towering adult height of 6’7″ when — while serving on a mission for the Church of Latter Day Saints — his Tourette’s tics escalated to nightmarish levels. Determined to conquer his affliction, Josh underwent everything from quack remedies to lethargy-inducing drug regimes to Botox injections that paralyzed his vocal cords and left him voiceless for three years. Undeterred, Josh persevered to marry and earn a degree in Library Science. At last, an eccentric, autistic strongman — and former Air Force Tech Sergeant and guard at an Iraqi prison — taught Josh how to “throttle” his tics into submission through strength-training. The World’s Strongest Librarian illuminates the mysteries of this little-understood disorder, as well as the very different worlds of strongman training and modern libraries. With humor and candor, this unlikely hero traces his journey to overcome his disability — and navigate his wavering Mormon faith — to find love and create a life worth living. I love a good memoir and I’d gone through a dearth before this book. And religious memoirs are even more my speed. This was a great combination of a book lover’s story, a fitness journey, and a religious memoir. It hit all my buttons. Plus, the super sarcastic voice and great narration helped. I liked how the chapters started with Dewey Decimal numbers to tease what was coming. I liked his honesty and the way he talked about his Tourette’s. I just liked this book. Hanagarne is very truthful about his flaws. He talks about being unable to hold down a job, his wavering faith in the LDS church, and his ticks. I’m not sure how realistic the other people in his life are portrayed. His mother, father, siblings, and wife all seem to be pretty perfect and I’m sure they’re great, but everyone has flaws. In a memoir, the focus is on the writer and having perfect side character’s isn’t as important so I can forgive Josh that one. Though Adam seemed really well-developed and I hope his characterization was right on. Janette was one of my favorite side characters. The amount of patience that woman has is amazing! First, her patience to wait for the right man to show up in her life, her patience for Josh to find a career, for them to start a family, and for Josh’s ticks. When things went well for Josh, she was able to celebrate. When things went poorly, she still supported him and helped him find answers. She was an amazingly supportive spouse and a great mother. While it’s nothing like Tourette’s, Josh’s struggles to find answers to his condition reminded me of a year in my life when I was struggling to get a diagnosis and treatment for a hip injury. I remember the frustration when I went through different treatments and as my diagnosis changed. Medical conditions with no easy solution are frustrating. There’s something wrong and you just want to know how to make it go away but you have to go through rounds of treatments before you find what works for you. I understood Josh’s frustration and I’m glad he was able to find something to help control his symptoms. The story of their struggles to conceive really struck me. Their desire to have a child was so strong as they overcame miscarriages, adoption, and their final pregnancy and parenthood. Josh was very honest about the process he and Janette went through and I appreciated his honesty about a period of time that must have been clearly stressful. There wasn’t a part of the book I disliked, per say. Josh did a great job of keeping the focus of his book on the three things he set out to cover; faith, family, and Tourette’s. I felt he blended these well together and never lost focus. There were parts I was slightly less interested in, but nothing I disliked. The audiobook I listened to was narrated by Stephen Thorne. I thought he did an amazing job of voicing the sarcastic undertones of Hanagarne’s writing. He also gave proper tenderness to the parts of Josh’s story that were emotional and hard. I also adored how he read Adam. Overall, it was a great performance. Josh set out to talk about three things and I think he covered them wonderfully. We see his progression from a boy with Tourette’s to a man living with it to a man controlling it and growing into a father. He talked about his faith, growing up with a mother and father who encouraged him to grow in his faith to a man who went out to preach and convert. His illness seemed to deter him from his belief and I appreciated his honesty about how he struggled with his faith. His family took leading roles in both of these other aspects, having a great influence over his faith and supporting him through his treatments. It was a great combination of topics. Writer’s Takeaway: Being able to laugh at yourself is so important when you face hardships. Making light of a tough situation, when appropriate, can help reduce stress and help you enjoy life. Josh had some very tough times in his life and he didn’t make light of all of them. Misty’s return late in his life and the struggles he and Janette faced to have children were never made into jokes. But he was able to make light of living with Misty and his struggles with faith; things still very important but ones he’d deal with for a long time to come. I appreciated his way of looking at himself and the world, it made for a good read. I enjoyed this memoir a lot. Four out of Five Stars and a high recommendation. Currently reading: I haven’t made much progress with The Post-Birthday World by Lionel Shriver. I’ve been getting my school reading done during lunch at work so I’m not falling behind in that, but I’m not getting ahead in reading. I expect this will be on this list for a while. I sped through The Sellout by Paul Beatty but didn’t quite finish it in time for my book club meeting. I’m still going to finish it but it’s a little bittersweet knowing more about the ending than I otherwise would. Oh well. I’ve had some good movement with audiobooks! I wasn’t able to get The Joy Luck Club as fast as I wanted to so I started A Walk In the Woods by Bill Bryson instead. This is making me excited for summer and thinking about getting the gear so I can be a backpacker soon! I’ve wanted to do some longer hikes for a while but I don’t have the gear… yet. I also started another eaudiobook. I picked up Critical Chain by Eliyahu Goldratt. I read his critically acclaimed The Goal in college and I’m excited to see what else this business master has to share. Recently finished: I wrapped up The World’s Strongest Librarian by Josh Hanagarne last Wednesday right before bed. I really adored this book and I’m surprised how few reviews of it I found after posting. It seems it wasn’t widely distributed even though it was well received. My review will be up tomorrow. I plowed through Another Brooklyn by Jacqueline Woodson on my errands and drive to school. This was a great, albeit short book and it’s making me curious about what else Woodson has written. Does anyone have recommendations for more by her? 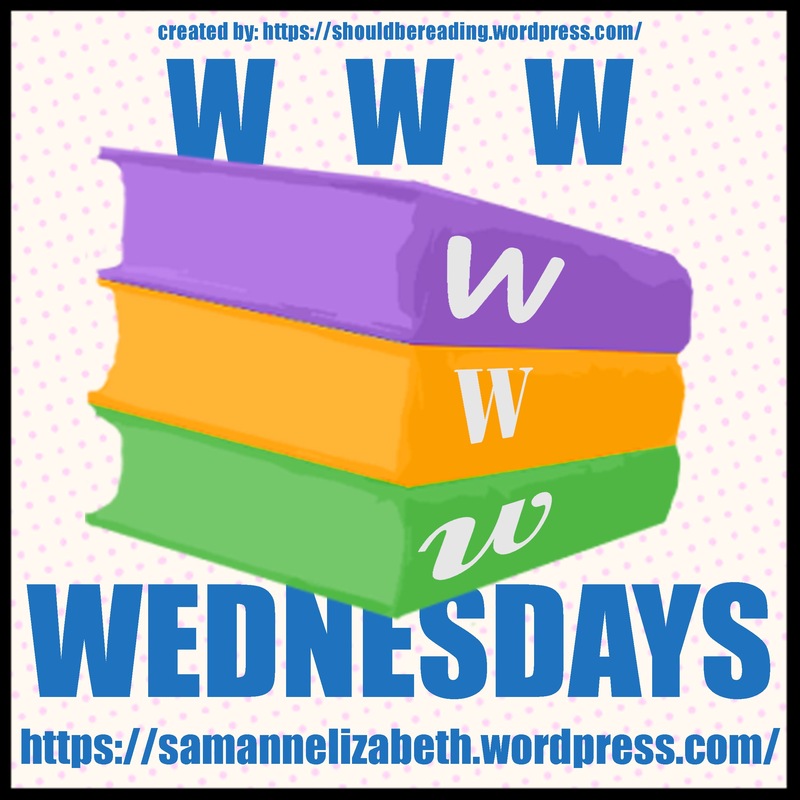 I posted my review of Mister Monkey by Francine Prose on Thursday last week and my book club reflection of it went up yesterday. The book was good but it didn’t blow me away. I gave it Three out of Five Stars. Reading Next: I’m set on audiobooks for a while so it looks like I’ll get to pick a physical book next. I keep knocking down my towering TBR from the top and next up is Brainiac by Ken Jennings. My mom raised me on Jeopardy! so I watched Jennings in his legendary run on the show. I’m interested to see what he has to say about the world of competitive trivia and learn a little more about a person who can pack so many facts into his head! My book club got together last week to discuss a fun book, Mister Monkey by Francine Prose. Many of us found the book light and fun, but that was after finishing it with hindsight. While reading it, the piece felt somewhat heavy. All the characters have some rather serious flaws and they struggle. But in the end, it ended happily for most of them. Well, mostly. There was an interview with Prose that our group shared (link here). In it, she talked about the number of things in the book that were pulled from her experiences. The first was her granddaughter asking her during a show if she was interested in what was going on during a quiet moment in the plot. The second was observing a really bad date, though the one she witnessed involved a man calling his friend to complain about his blind date while she was in the bathroom. The final was a dinner party she went to with her granddaughter’s classmates’ parents. She felt like any question she asked about something non-school related was treated as ludicrous and that the parents talked down to her the same way they did her granddaughter. I love that all these things were brought together in one book. The structure of this book was very unique. It allowed us to see how the characters saw each other. Rather than just Margo’s opinion of herself as a washed-up aging actress, we see Mario admiring her and Leonard’s impression that her costume is ridiculous. Sonya tries to rationalize her date and thinks that maybe Greg isn’t terrible but Ray and Mario can both clearly see that it is awful. The cast thinks Eleanor is a terribly brusque person but she’s staying in character and is very polite. The character’s stories are resolved, but not in their own plot line. Roger resolves Lakshmi and Eleanor resolves Edward and Leonard. We felt like we could reread the book and get something else out of the nuances we missed the first time. A good comparison to the structure would be Lakshmi’s play where we learn about one character through the stories of the others. Talking about this made us all a bit worried about how others see us. The Chekhov quote that is sent to Margo at the beginning of the book sums the whole plot up. It’s on page 20 in my copy and reads, “Failures and disappointments make time go by so fast that you fail to notice your real life, and the past when I was so free seems to belong to someone else, not myself.” Many of the characters are wrapped up in their own lives so much that they don’t notice what’s going on around them. There were two stories we talked about at length. The first was Ray. The story he wanted to write about his experience in Vietnam was so twisted that it bears no resemblance to the story in the play. His experiences are lost and he feels happy at his success but also a bit disappointed with what has become of the book. He seems to regret having been so successful. Eleanor struck us as the only person in the book who was happy with her life. She wasn’t looking for her next unhappy love affair and she wasn’t trying to be at a different stage in her life. Everyone else wanted to be older or younger, in love or out of it, but Eleanor was happy. There were some themes in the book we hoped would be flushed out a bit more. The monkey theme was obvious but seemed unfinished. With how much Darwinism and evolution were brought up, we thought they’d play a bigger role in the book and were a bit let down when they didn’t. I left with a ‘lighter’ impression of this book than when I’d finished it. I love being able to flesh out the book with the other readers in my group! We have one more meeting before our summer break and I’m looking forward to it. Something came up in my book club the other day that I wanted to share and get some opinions on. If someone says to you, “This book is great! You totally have to read it!” do you always believe them? Personally, I don’t. A book being ‘great’ by one reader’s opinion isn’t a guarantee that I will love it. I’ve had a number of books recommended to me that I just hated. I usually wait for at least five people to recommend a book to me before I consider putting it on my TBR. Seeing one positive review is rarely enough to encourage me to jump on board. But when does a single reviewer convince me to read a book? Well, if they’re a big reader, I’m going to take their recommendation much more seriously. If a reader consumes only four books a year and says one of them is ‘great,’ that’s not a lot to compare the book against. If it’s the first book you read in years and it was wonderful, maybe you just forgot how awesome books are and this was a happy reminder. I consider someone a reader if they’re reading over 10 books per year. I’m usually in the 40-50 range myself but I’m a bit overzealous. One of the women in my club laughed when I said this. She said it was years before she read Harry Potter because the friend who was telling her “she had to read it” was someone who had read nothing but Harry Potter since college. Even if someone is a heavy reader, I can still be skeptical of their book recommendations. Are they a heavy thriller fan and they like a thriller because it’s good in the genre? I’m not a thriller fan so will I still enjoy the book? If someone is a YA fan but they recommend a woman’s fiction novel to me, I’m not sure how they’ve formed that opinion so I’m going to be a little skeptical there, too. The people I tend to trust are those who’ve read similar books to me, even if our opinions on them differ sometimes. There are people in my book clubs that I trust and librarians I’m friends with who know what I read. If they read similar books or if the suggestion is tailored for what I like to read, I’m much more inclined to believe them. Unfortunately, this means I need to see a book on many blogs before I’ll even think about putting it on my TBR shelf. This is a huge disadvantage for new authors and I understand that. As someone who hopes to write a book someday, I’m trying to overcome this bias but I trust the opinions of other readers a lot. Maybe I’m just nervous to try something new for myself. Do any of you struggle with this? Whose opinion do you trust when they tell you about a book you just have to read? This was yet another book that I had never heard of and probably never would have read if it weren’t for my book club. There are just far too many good books to read them all. Sometimes we need a kick in the pants to find the good ones. Mister Monkey—a screwball children’s musical about a playfully larcenous pet chimpanzee—is the kind of family favorite that survives far past its prime. Margot, who plays the chimp’s lawyer, knows the production is dreadful and bemoans the failure of her acting career. She’s settled into the drudgery of playing a humiliating part—until the day she receives a mysterious letter from an anonymous admirer . . . and later, in the middle of a performance, has a shocking encounter with Adam, the twelve-year-old who plays the title role. Francine Prose’s effervescent comedy is told from the viewpoints of wildly unreliable, seemingly disparate characters whose lives become deeply connected as the madcap narrative unfolds. There is Adam, whose looming adolescence informs his interpretation of his role; Edward, a young audience member who is candidly unimpressed with the play; Ray, the author of the novel on which the musical is based, who witnesses one of the most awkward first dates in literature; and even the eponymous Mister Monkey, the Monkey God himself. This book started off with a summary of the book-turned-play that the plot revolves around. That threw me a little because I thought the rest of the book would focus on an odd story about a family in New York adopting a monkey. I was beyond relieved when it didn’t. I liked the revolving narrator in the book and how the next narrator was connected to the previous story. I did think the skip to Eleanor was a bit of a stretch, but it still made sense. More sense than the Monkey God talking but not ending the book. I liked how certain phrases and ideas were repeated (unhappy love affair, Darwin, etc.) and how the play was at the center of the book but never fully spelled out and explained. You explore the story from all sides without seeing it and by the end, I think I could tell you the plot fairly well. The characters were great in this story. Each one was well-developed and they were all very different as well. Though they were all touched by the play in some way, everyone was affected differently or less directly than others. I loved how flawed they all were, it was very realistic, especially Sonya. She was the one I related to most because I’m closest to her age and I have friends that she reminded me of. I thought Margo’s flaws were great, too, and Mario. Honestly, all the characters were easy to fall in love with. Except for Adam. He was the worst. Like I said, Sonya was my favorite character. She seemed slightly stuck in a bad situation and as hard as she tried, she wasn’t finding a way to climb out of it. I felt bad for her and could understand why she had the problems she did with sleeping pills. I wanted her date to go well but that was a dud from the beginning. I felt really bad about her situation at work, too. Sometimes you get talked into a corner and there’s no good way out and that’s what had happened to her. I admired Eleanor. There were times I’ve wanted to tell a kid that they’re out of line when a parent won’t, but she had the nerve to do it. I also respected that she held two jobs, one a passion and one a calling. It must have been exhausting but she did well for herself. She also seemed the most collected and happy with her life out of all of the characters. I found Ray’s story really interesting. The actors are really involved in the musical but Ray is, of course, intertwined with the book. I liked how he talked about the back story of the novel and what he really wanted to say with it to start. It was interesting to hear how the message had changed and become so diluted with edits that he didn’t feel as connected to it anymore. I think a lot of writers worry about that and it was interesting to hear Ray, someone who was made famous and rich off his story, lament it. The chapter from the Monkey God rubbed me the wrong way. I think it would have been better at the end, but stuck before Roger’s chapter, it seemed odd. Plus, it took away from the smooth transition from character to character. Eleanor to Roger would have made sense, but Eleanor to a God to Roger was a bit much. It seemed strange to see into the future of some of the character’s we’ve explored before we finish with the present. I wish it had been removed completely, I didn’t need to know about Ray and Sonya’s futures. The audiobook I listened to had dual narrators in Nan McNamara and Kirby Heyborne. I’m glad that they used two for the male and female narrators, it was more believable than Eleanor in a man’s voice or the Grandfather in a woman’s. I’ve heard Heyborne before because he narrated the Peculiar Children series. Both did well incorporate the character’s disappointment in certain parts of their lives and the heaviness of humanity that was hanging over them all. The lives of these people touched without some of them ever meeting. Eventually, Eleanor and the Grandfather meet and Margo and Mario hit it off, but some will never interact and it’s great to see how small things that other people do can affect us. It was a cool concept to jump from one to the other as they’ve interacted and I had a great time guessing who would come next. Writer’s Takeaway: The flaws that Prose was able to give to each character made them come alive. You’d think such heavy flaws would weigh the characters down but it didn’t. I loved conscious-heavy Mario and pill-popping Ray and feeling-old Margo. It made them much more real and having well-developed adult characters was important in this book focused on a children’s play and all the ridiculousness involved in that. I enjoyed this book but wasn’t blown away or overly captivated. Three out of Five Stars. Currently reading: I’ll be finished with The World’s Strongest Librarian by Josh Hanagarne pretty soon. I’m really enjoying this memoir and I’m realizing how long it’s been since I read a memoir. Hanagarne’s sense of humor is keeping me reading though he’s going through some very tough times in his life. I’m not very far into The Post-Birthday World by Lionel Shriver so it’s hard to really say how I’m feeling about it at the moment. I like it so far but I know this one will be on here for a while as I enjoy it slowly. I haven’t had a ton of time to read The Sellout by Paul Beatty either. The prose is very poetic and I’m reading it slowly because of that. I think I’ll finish it in time for my book club meeting but it will probably be closer than I’d like to admit! I’ve just started Another Brooklyn by Jacqueline Woodson on audio. I think it’s the full book but with it being so short, I’m still a little unsure! I guess we’ll see when my book club meets again. Recently finished: I finished Mister Monkey by Francine Prose on Friday night. Overall, I enjoyed the book though there were some parts that rubbed me the wrong way or that didn’t flow logically for me. We met to discuss it on Monday but I wrote my review before the conversation could taint my opinions. The review will post tomorrow and my book club reflection will be up next week. I’ve made a push for book reviews and I managed to post a few. Monday I posted my review of John Green’s An Abundance of Katherines. I gave the book 3 out of 5 Stars. I also reviewed Ellyn Spragins’ What I Know Now. It’s a collection of letters that she helped famous women write. I gave it 3 out of 5 Stars as well. Reading Next: I’ll need another audiobook for my car next. With all the driving I’m doing for school this semester, I’ll go through these rather quickly. I’ll be picking up Amy Tan’s The Joy Luck Club next. I’ve heard good things and I’m excited to enjoy this one while I drive to class.